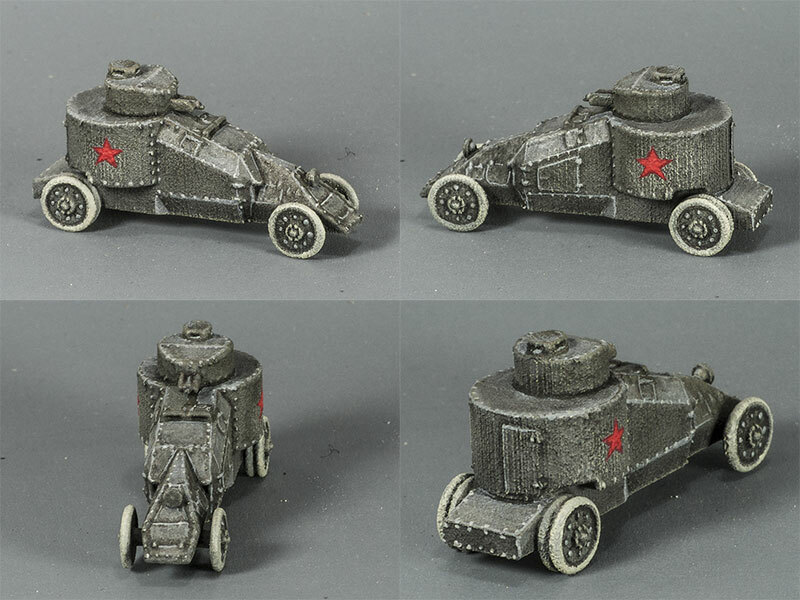 This is my 1/100 scale (15mm) Benz-Mgebrov armoured car, 3d-printed in WSF nylon. The printing artifacts are very prominent on this model, and it's taken a lot of painting to pull out the detail that was lost amongst all the clutter. There's still detail there, but it's difficult to find until it's been carefully extracted from the background noise of the WSF printing. I really should hollow the model out to make it more affordable in FUD resin, because it would look so very much better printed in that. At the moment, it's just over thirty bucks (plus postage), three times the cost in WSF, which is far, far too expensive.